The New York City Office of Adult and Continuing Education (OACE) is the largest provider of adult literacy education services in the state. 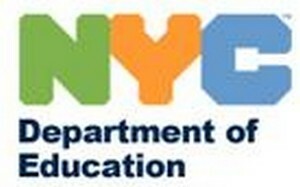 We are an integral part of the New York City Department of Education’s Division of Equity and Access. We offer over 900 classes for adults age 21 and over. We operate four Adult Learning Centers located in Brooklyn, Manhattan, Queens, and the Bronx. We offer day and evening classes Monday through Saturday at more than 175 sites in all five boroughs, including public schools, community centers and faith-based organizations. Students can take classes at any of our sites, regardless of which borough they live in. All classes are taught by certified teachers and are tuition-free (students may be required to pay associated fees for textbooks, certification exams and/or uniforms for specific classes). The Office of Adult and Continuing Education’s mission is to empower adults in their roles as parents, family members, workers and community members. We promote lifelong learning and the development of problem solving skills through a continuum of services, including Adult Basic Education, English for Speakers of Other Languages, High School Equivalency, and Career and Technical Education.